The capacity to imagine oneself experiencing future events has important implications for effective daily living but investigation of this ability in autism spectrum disorder (ASD) is limited. This study investigated future thinking in 30 children with high functioning ASD (IQ > 85) and 30 typically developing children. They completed the Adapted Autobiographical Interview, a measure which required participants to describe personal past events (indexing episodic memory) and plausible future events (indexing episodic future thinking). The results showed that there are ASD-related deficits in future thinking, and also provided preliminary evidence regarding cognitive mechanisms that may (and may not) contribute to these difficulties. The theoretical and practical implications of these results are discussed. We would like express our appreciation to Autism Victoria, the Asperger’s Association Network and Voice and Movement for assisting with the recruitment of children with ASD. We also thank Jade Russo for assisting with data collection, Fiona Sparrow for transcribing the interviews and Ashleigh Dever for scoring the AIs. We would also like to thanks Donna Addis for generously sharing the materials, and her advice on conducting and scoring of the adapted Autobiographical Interview AI. Sinzig, J., Morsch, D., Bruning, N., Schmidt, M. H., & Lehmkuhl, G. (2008). 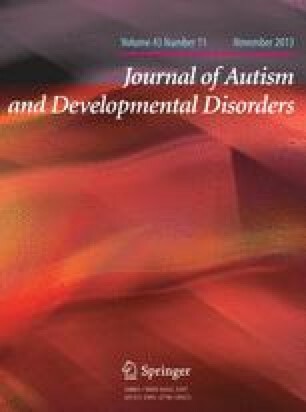 Inhibition, flexibility, working memory and planning in autism spectrum disorders with and without comorbid ADHD-symptoms. Child and Adolescent Psychiatry and Mental Health, 2. doi: 10.1186/1753-2000-2-4.